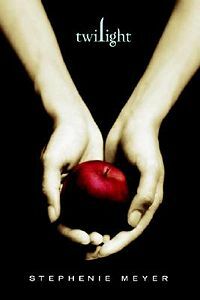 I finished reading Twilight by Stephenie Meyer. The book is about Bella Swan’s move to Forks, Washington and her encounters with Edward Cullen, a mysterious and alluring boy from school. Bella’s life takes a thrilling and terrifying turn as she gets to know Edward. Until now, Edward has managed to keep his vampire identity hidden in the small community he lives. Now no one is safe, especially Bella, the person Edward holds most dear. I found the middle of the book dragged and seemed to repeat it’s self. The beginning and the end of the book is good. Twilight’s love story undertone was a little much for my taste. Overall the book was an entertaining quick read. I’m interested to see how they did with the movie.